We’ve all known about the amazing health benefits of green tea for some time now, and we continue to sip diligently to reap the benefits of its metabolism-boosting and fat-burning abilities and its antioxidant properties. 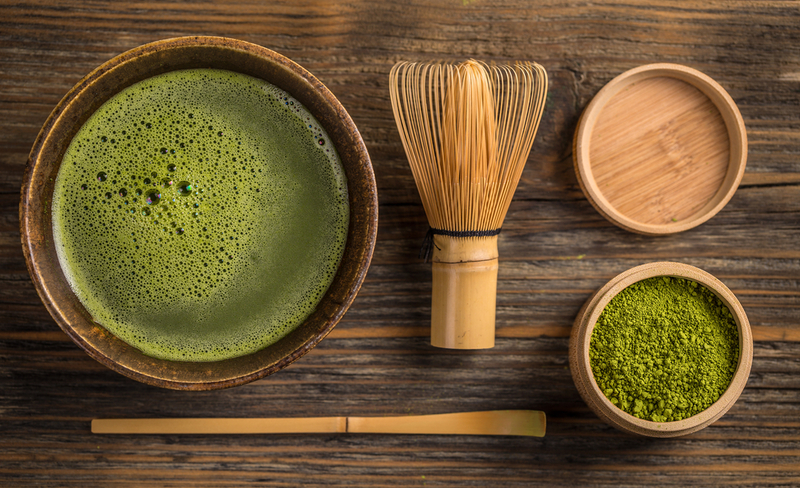 But step aside green tea because matcha—still a relatively new kid on the block—has been making waves in the health and wellness world with an impressive score card of health and beauty benefits. What immediately strikes you about matcha powder is its vivid green hue (due to matcha’s richness in chlorophyll), and just like the sight of a fresh green juice, you know something that bright and that green has got to be chock full of the good stuff. Compared to a cup of green tea, when you drink matcha, you ingest the entire leaf and receive 100 per cent of the nutrients of the leaf. A single serving of matcha tea is said to be the nutritional equivalent of 10 cups of regularly brewed green tea. It is packed with a mega dose of antioxidants including the powerful EGCg (catechins), which is said to provide potent cancer-fighting properties. 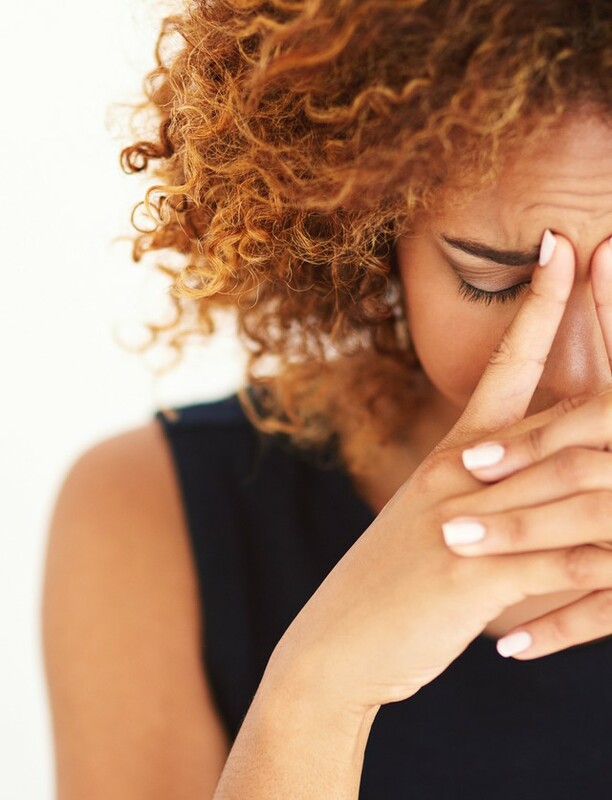 Catechins are also known to counteract the effects of free radicals from things like pollution, UV rays, radiation, and chemicals, which can lead to cell and DNA damage. Now that you know matcha’s credentials, you can see why it would make perfect sense to incorporate it into your beauty regimen, applying it topically to detoxify and nourish the skin. Matcha powder is an amazing base ingredient for a DIY mask, blended with other skin nourishing ingredients like coconut oil, honey or rosewater. Don’t be put off by the bright green colour, yes it may stain a face cloth, but it is evidence that your skin is getting a supercharged serving of face food. We love Matcha Ninja for its super solubility. 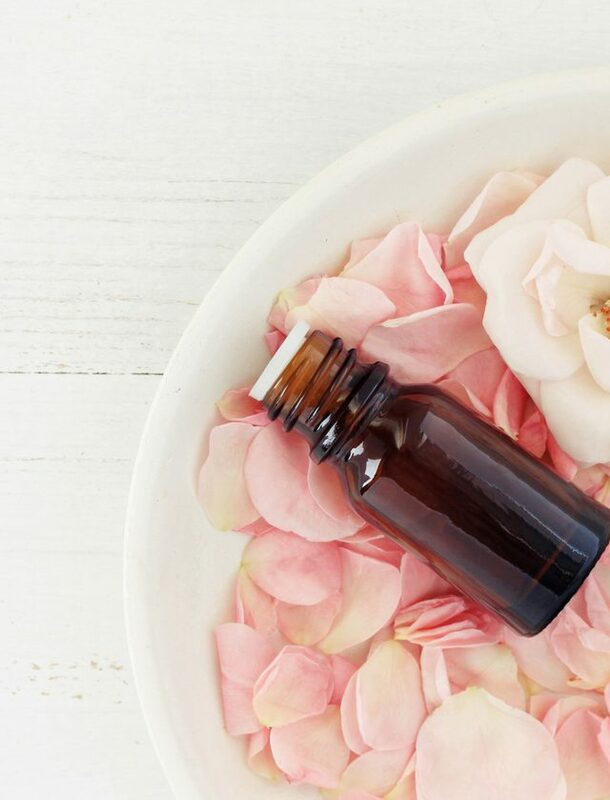 If DIY isn’t your thing, matcha is popping up in skin and body care products and we’ve rounded up some of the most notable. 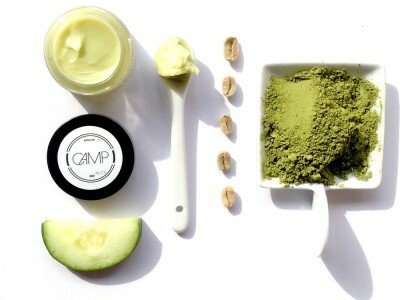 CAMP Matcha Latte Eye Cream ($46) is a nourishing eye cream formulated with soothing cucumber seed oil, circulation-boosting Matcha green tea and brightening green coffee bean oil, instantly refreshes, tones and hydrates the delicate eye area. Fine lines around the eyes caused by UV damage are diminished, puffiness is reduced and moisture is replenished. Love the subtle green hue! Is Bone Broth the New Botox?